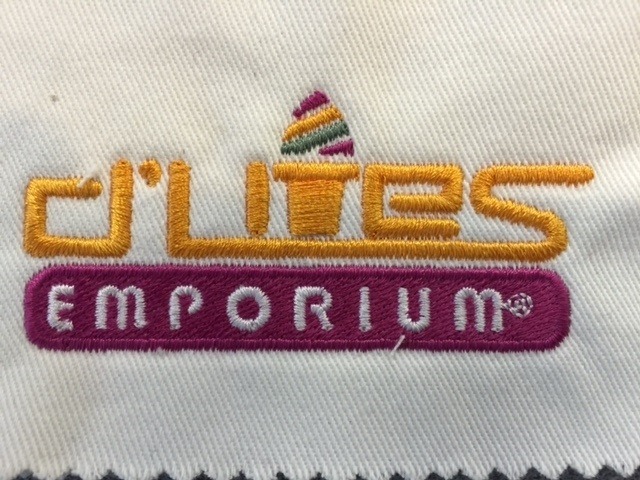 This is one of our best selling polo shirts. Very light, moisture wicking, great for summer applications May tend to catch a bit if you are working around catchy type objects, very nice unique colors. Ladies Extreme Moisture Management Polo Shirts from Sharper Uniforms are the perfect choice for high-pressure, high-heat environments. 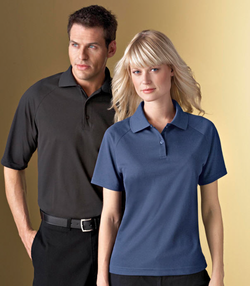 The moisture-wicking shirts help to keep your staff members cool and comfortable, even under the busiest conditions. 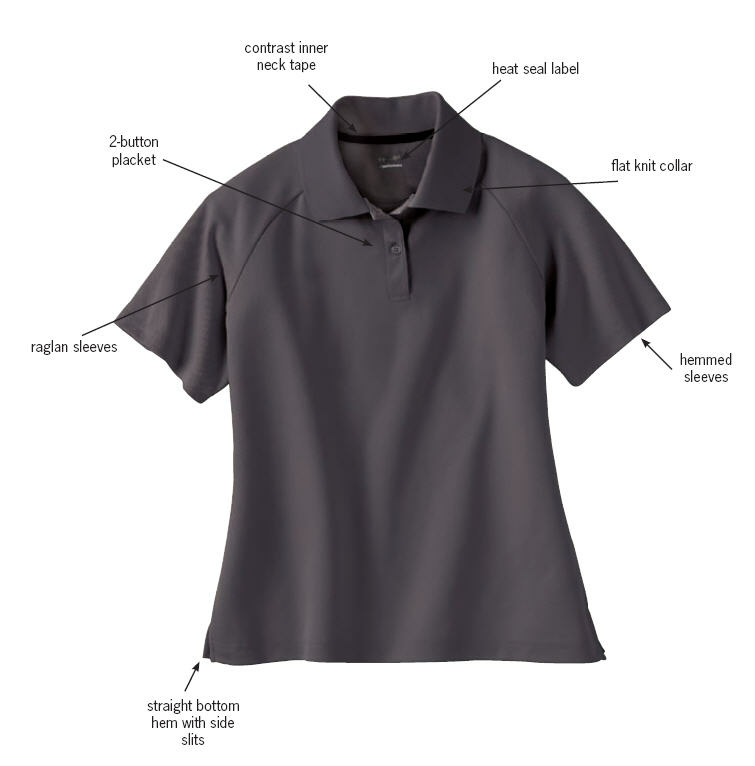 When the heat gets turned up on the job, you can rest assured that our moisture management polo shirts will keep your staff members cool, calm, and collected. Each ladies' polo features a solid pique body, matching solid flat knit collar, a straight bottom hem with side slits, hemmed sleeves, heat seal label, raglan sleeves, and contrasting inner neck tape. 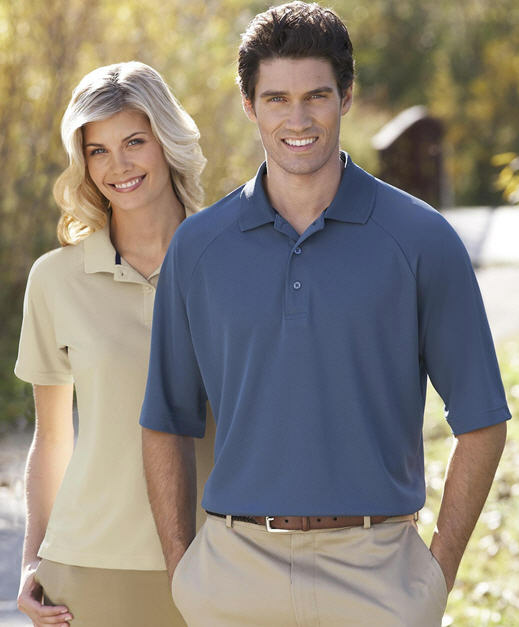 The simple polo shirt design pairs perfectly with khakis, shorts, slacks, or capris, making it a must-have addition to your workplace. The lightweight shirts are made from 100 percent polyester material and have built-in antimicrobial features. That means they'll not only wick away moisture, they'll also prevent bacteria from growing to keep away unwanted odors. 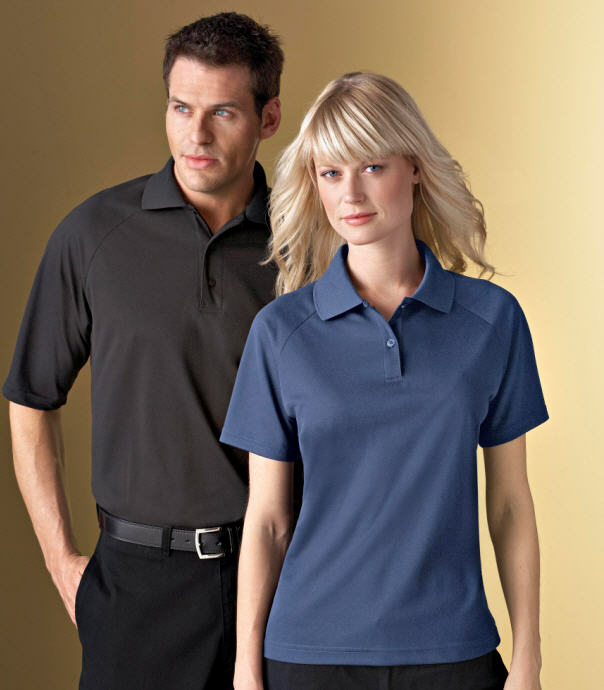 Extreme Performance Moisture Management Polo Shirts from Sharper Uniforms are the smart choice for busy establishments. Best of all, they're easy to care for and can be laundered at home. 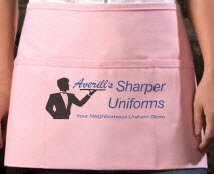 Made from 100% polyester, 4.3 oz fabric. I work in a HOT kitchen and this shirt is a lifesaver. I sweat profusely and this doesn't show the sweat and dries nicely. Will definitely want more. Be aware though, that this runs smalls and is form fitting, so you might want to order up. It's hard to find great women's Polos. These polos have an angled sleeve, so look great on. The material is just what I was looking for, not too bulky. The price is also something I don't mind spending on quality tops. I use them for everyday wear, not as a uniform. 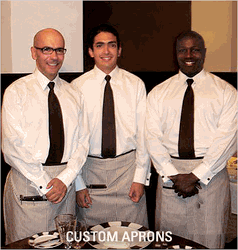 I first heard of these when my company gave me one with the company logo embroidered on the sleeve. Great color and product matched description perfectly. True fit. 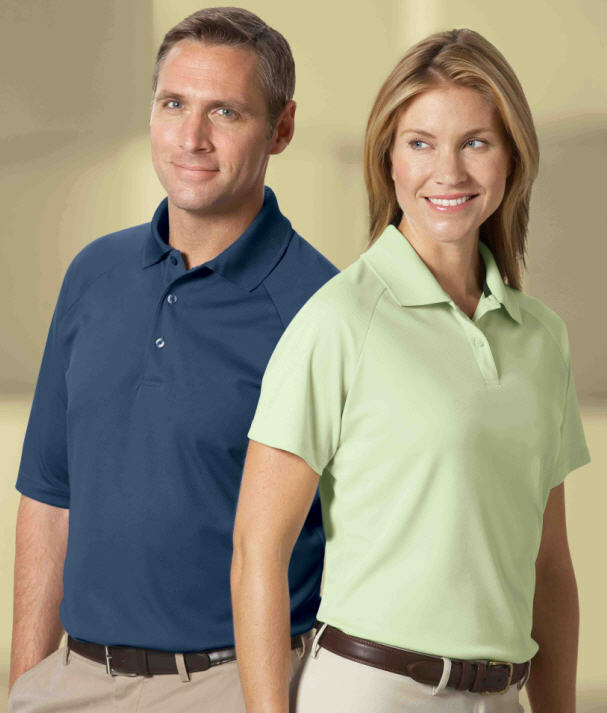 I ordered a number of the Moisture Management Polo Shirts and are extremely happy with the look and wear of all of them. 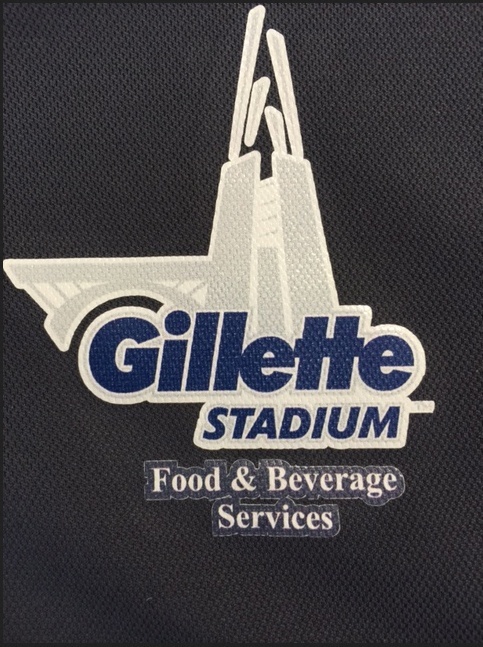 The staff love the shirts, they really are nice and cool, nice color selection! What is the body length for XS & S? I'm very petite, below 5 ft.